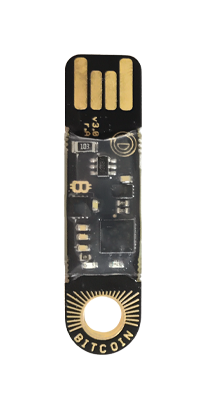 The 1st Bitcoin Bearer Bond or just call it a "Bitcoin Stick"
Opendime is a small USB stick that allows you to spend Bitcoin like a dollar bill. Pass it along multiple times. Connect to any USB to check balance. Unseal anytime to spend online. Trust no one. Acts like a read-only USB flash drive. Works with any computer, laptop, or phone. A QR Image and Text files inside contain Bitcoin address and helpful information. The private key is generated inside the device, and is never known to any human, not even you! 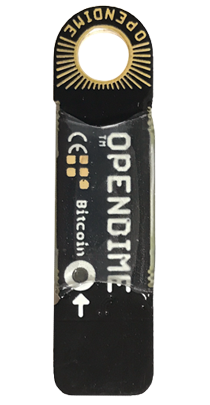 The Bitcoin world changes fast but Opendime is built on the fundamental Bitcoin features that haven't changed in five years. Give an Opendime to anyone and they don't need to worry that you can take back the funds later. The private key is strictly in the device itself. This is physical Bitcoin as it was meant to be: just hand it to someone and they've got it. Pass it on multiple times! As simple as a handshake. No miner fees, no confirmation delays. Uses Bitcoin message signing, normal (non HD) bitcoin payment addresses and private keys in WIF format. Each Opendime holds one private key. It publishes the public key (payment address) to anyone and never reveals the key until "unsealed". Yes. It's like a piggy-bank. You must destroy it to spend the funds. At first that seems expensive and wasteful, but it's a key part of our security model: you can trust a sealed Opendime, and it's obvious when it's been opened. Since we are putting private keys into a physical form you can trust, you can simply hand around Opendime units to move amounts around. There are no pre-defined Bitcoin amounts with Opendime either. Store as much or as little as needed. @xcsler OpenDime have absolutely everything right. Design, hardware, philosophy, usability, future expansion. Its absolute genius, plainly. Since @OPENDIME makes Bitcoin private keys negotiable, it introduces plausible deniability into the network, which thwarts any surveillance. @OPENDIME Thank you. 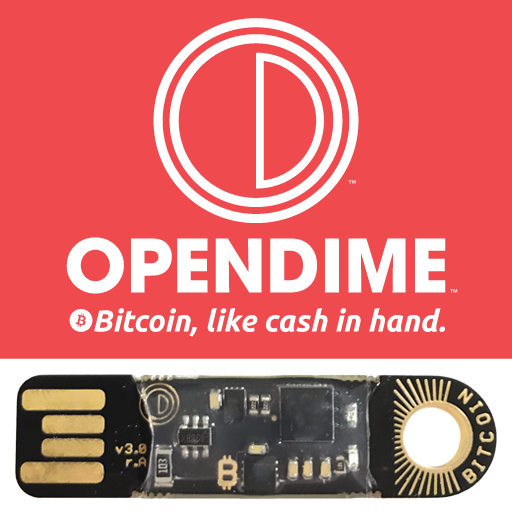 OpenDime is a _very_ seductive product, bursting with win! As the founders of a successful Bitcoin web wallet and API provider— we've watched the growth of both physical Bitcoin "coins" and hardware wallets with interest. However, the existing options fall short of being a useful means to transact business. 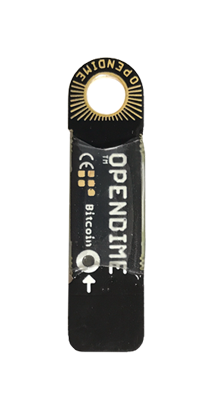 We built Opendime to be much more than a another hardware wallet or a physical bitcoin. We feel that we've created whole new product category: disposable hardware wallets to be used as cash. We're really excited to see what people will do with this. Maybe we'll see whole new economies based on Opendime spring up! That might be a real godsend in some countries that struggle with limited network infrastructure and corrupt governmental systems. This is just the beginning. We have no idea where it will go from here! Get a few today so you can be there first! Copyright © 2015 OPENDIME All rights reserved.